Being a huge supporter of all things surreal, radiant, and gaudy, it’s no wonder I love seeing David LaChapelle’s collection at Guy Hepner! 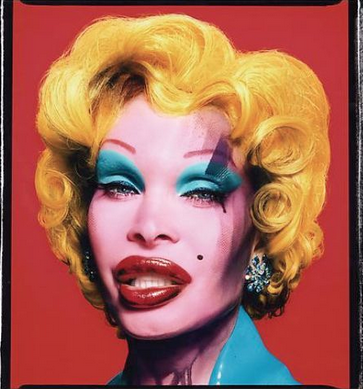 Having huge influence of Pop Art artists like Andy Warhol, Roy Lichtenstein, James Rosenquist, and Claes Oldenburg, LaChapelle studio collections are filled with bright colors, hyper-real details, and larger than life props and themes in order to mock the consumerist, objectifying culture of celebrity. David LaChapelle’s photographs include a countless amount of the worlds’ most luminary figures such as Tupac Shakur, Madonna, Eminem, Andy Warhol, David Beckham, Jeff Koons, Leonardo DiCaprio, Hillary Clinton, Muhammad Ali, Lady Gaga. His works such as Amanda as Liz and Amanda as Marilyn, are impressive because of their accuracy and their grotesque caricature-like nature. 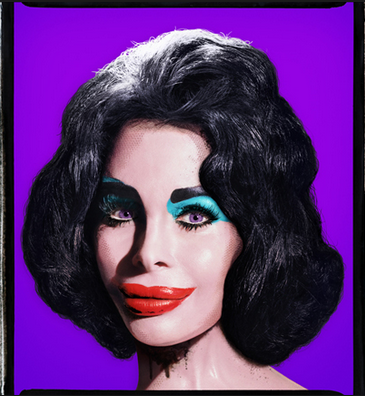 Here, LaChapelle takes Andy Warhol’s caricature representations of Marilyn Monroe and Liz Taylor and pushes it further by forcing the image of other human beings to perfectly fit the dehumanized image. He makes the models look absolutely clownish and even slightly scary really making one think about what happens when our culture turns a human into a pop icon. Other famous works include, David LaChapelle money/David LaChapelle currrency, David LaChapelle Pamela Anderson, and David LaChapelle Jesus. While LaChapelle is not a man to get nervous, he was shaking in his shoes as he stood before 121 UNCSA high school graduate class of ’15 to give a commencement speech about life as an artist. “I promise you, life won’t go as planned, so how do you know when to keep banging on that shut door or find a new door?” he said, as the graduates were all ears. “You have to listen to that creative voice inside you, your inner-GPS.” He even mentions how he was a straight “F” student in public school and hated by his classmates were the same reason he was so liked at UNCSA. Everyone supported him for being different and it only began his journey his prosperous art career. The graduates were all ears as LaChapelle told his story of overcoming challenges. Student Lorenzo Zapata even said, “Oh my gosh, he was fantastic and it was exactly what we needed to hear,”. Guy Hepner allows for an easy buy David LaChapelle by making David LaChapelle gallery accessible online. David LaChapelle new york now available worldwide.